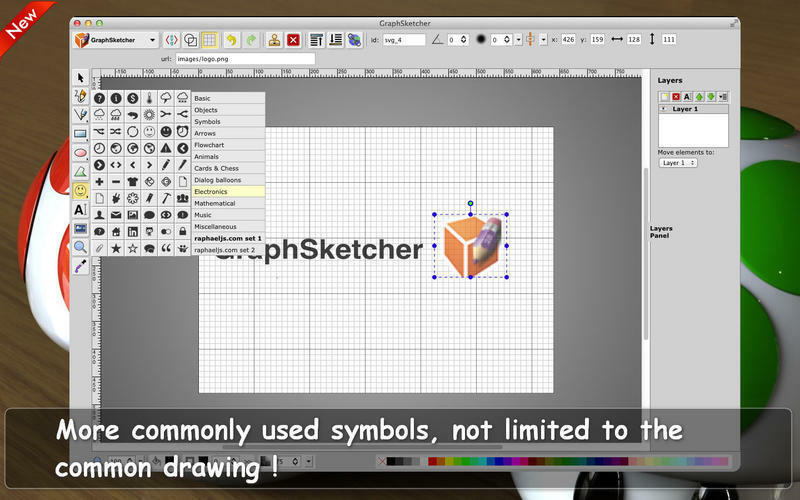 Is there a better alternative to GraphSketcher? 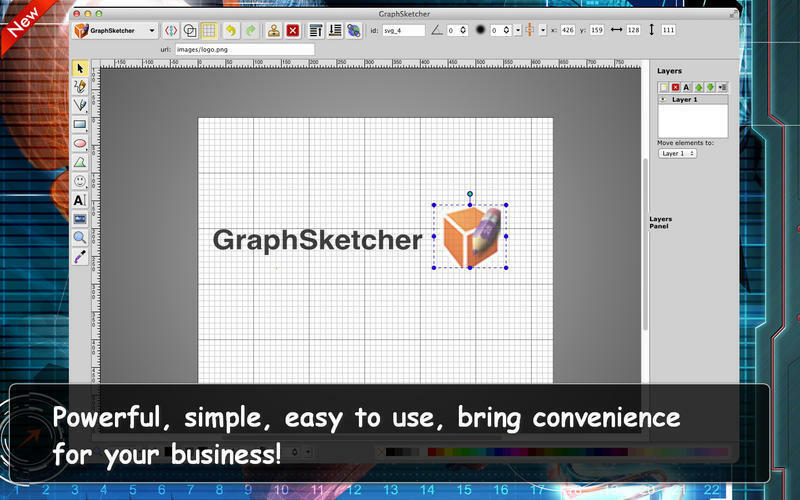 Is GraphSketcher really the best app in Designs and Graphics category? Will GraphSketcher work good on macOS 10.13.4? GraphSketcher needs a rating. Be the first to rate this app and get the discussion started! 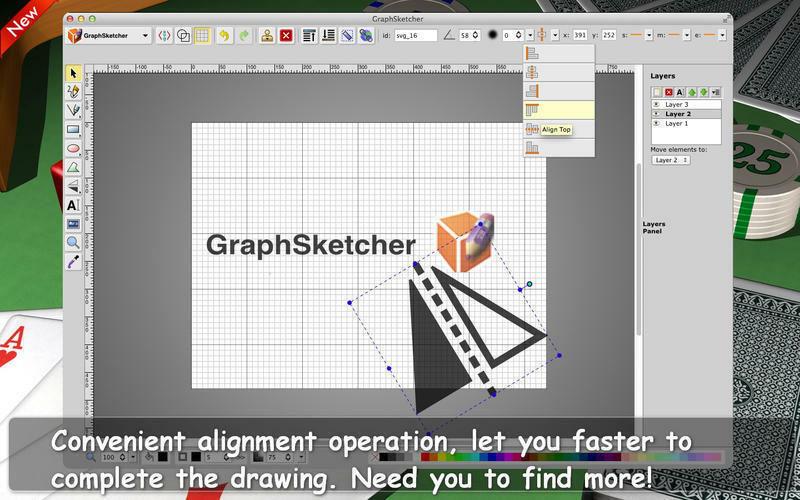 GraphSketcher is a professional graphics designer editor. The one thing I couldn't get it to do was curves. The feature list does say that it supports "curved paths," but I couldn't figure it out, despite previously having worked with Inkscape, CorelDRAW, and Illustrator. Other than that, GraphSketcher gracefully handled just about anything that I could come up with. You can change opacity, set the fill or the outline to any solid color or gradient, align items on the canvas, shift Z-order (bring items to the foreground or send them to the background), and lots of other functions. In case you're wondering, that screenshot isn't blurry -- it's showcasing GraphSketcher's built-in Gaussian blur functionality. GraphSketcher also supports layers and imports SVG files that were created in other applications. One neat thing that you can do with GraphSketcher that you can't do with other apps is resize the UI. When you use your browser's zoom functionality, the whole thing grows, including the buttons. And it all stays crisp, because the buttons use SVG icons. It's beautiful work.